When George S. Halas was asked to rebuild the Staley Company's football club in Decatur, Illinois in 1920, nobody could have imagined that his efforts would forever change Sunday afternoons in America. Halas helped found the National Football League, and with it the Chicago Bears, the most storied franchise in the league's history. From the Galloping Ghost, to the Monsters of the Midway, to that indomitable "46" defense-the "Grabowskis" as their coach named them-Bears teams and players have made such an impact on the city of big shoulders that Chicago will be forever known as a "Bears town." Journalist and author Roy Taylor found his passion as an eight year old when his father took him to his first Bears game at Soldier Field in 1979, as so many Illinois fathers have done with their sons for generations. 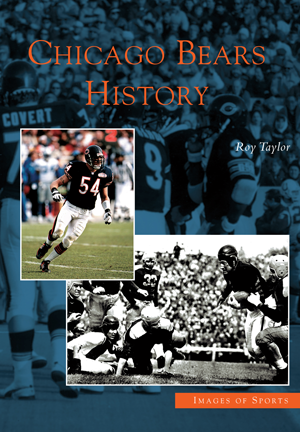 The author founded his website www.bearshistory.com in 2001, and in Chicago Bears History, Taylor tells the story of the team from 1920 to the present.